The American Humanist Society is offering Darwin Day e-cards that you can email to friends. (Hat-tip: @StacyCBaker). 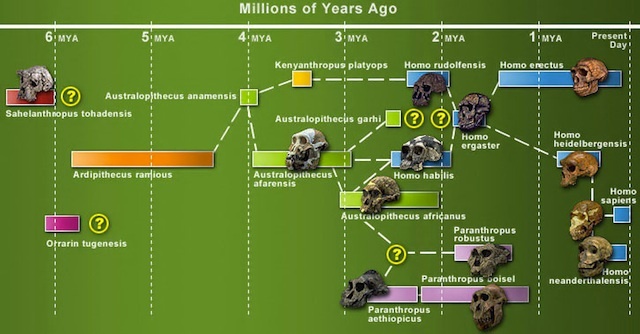 The e-card presents the evolution of man as a linear series of steps. Evolution is on-going diversification, with each variant (sub-species, species) surviving in a particular environment (niche), with variants dying off from time to time. A linear series of steps doesn’t convey this. While it’s great to promote Darwin Day, ideally it’d be good to avoid the use of this linear iconography. It’s more subtle, but it’d convey something closer to what evolution is ‘about’.